Philip MacDonald was the son of Ronald MacDonald, novelist and playwright, and the grandson of George MacDonald, Scottish poet and novelist. His mother was a Shakespearean actress. After school, he joined the cavalry and served in Mesopotamia towards the end of the First World War. Together with his father, he wrote two books under the pseudonym 'Oliver Fleming'. 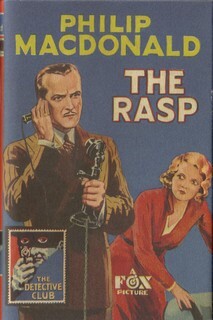 Between 1930 and 1933, he wrote an average of five crime novels a year. He also wrote scripts for one of Hollywood's largest studios. Three crime novels were written under the pseudonym 'Martin Porlock'. In the US, these books were published under his own name. He is the creator of 'Colonel Anthony Ruthven Gethryn', an amateur detective who works closely with the police.